One of things I preach about movement is, keep varying your load, intensity and modality. After all, the body loves to adapt to new and ever changing stressors. I think variety in nutrition is important too. But I’m far less likely to do it. I get in habits and am not likely to veer too far from what I know works for me. This goes for what I’m eating, how much and when. So for as long as I’ve been paleo/gluten-free, I can’t say I’ve ever skipped a meal. Why would I? I feel amazing eating high quality meat, vegetables, fruit, nuts, plenty of healthy fats and safe starches. But it occurred to me, it might be time to try something new. 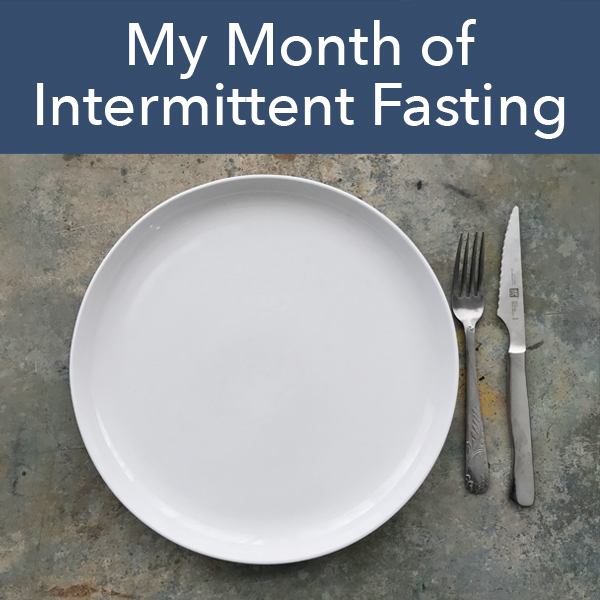 Much like a 21 Day Sugar Detox, which I usually do at the beginning of the year, the idea of an intermittent fasting (IF) experiment seemed like a way to shake up my eating habits. The health effects of IF have been widely discussed and debated and have gained a lot of popularity lately. I won’t rehash them all here, but the one that specifically caught my eye was ‘Autophagy‘. Generally speaking, this is our body’s process of cell recycling and has been linked to reducing the risk of neurodegenerative disease (Parkinson’s, Alzheimer’s, etc). This is an area of special interest to me based on familial history. While research suggests autophagy really kicks in around day 3 of an extended fast, I still wanted to at least dip my toes into the fasting waters. So a month ago, when Diane asked if we should do this, I bit. Following guidelines from The Complete Guide to Fasting by Dr. Jason Fung with Jimmy Moore, we chose a 16 hour fast. This meant an eating window between noon and 8pm which fit perfectly with my schedule. My only deviation was to continue to have 8-10 ounces of coffee in the morning. I really didn’t want to compound caffeine withdrawal symptoms with a new (lack of) eating plan. 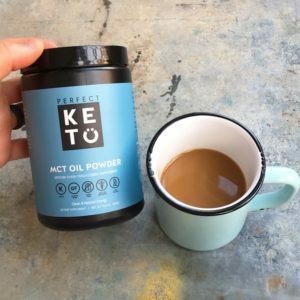 On days I see patients in the morning (tuesday and thursday) I added Perfect Keto MCT Oil Powder to my coffee. I felt a lot of brain fog in week one and felt it was only fair to my patients to be fully present. This helped immensely. I had a lot of people ask me about this deviation. Was I ‘really’ fasting? From a strict sense, maybe not. Having some pure fat calories and caffeine is certainly a strategy that deviates from the traditional fasting principles. From what I gather, insulin should not be affected with this strategy and keep in mind weight loss is not a goal for me. But it indeed is not a ‘strict’ fast. But here’s the thing: I haven’t skipped a meal intentionally ever! So for me, trying something like this means doing it in a way where I feel successful. If and when I try fasting again, I’ll know what to expect and can adjust accordingly. This wasn’t about being a ‘perfect faster.’ It was an N=1 experiment. A first step. Keep reading for thoughts on next steps. One of the best parts of fasting is its utter simplicity. It doesn’t get any simpler than ‘don’t eat.’ No fancy instructions, shakes, meal ordering, tracking macros, counting calories. Just skip breakfast and plan a compressed eating schedule in the pm hours. I noticed a significant decrease in sugar and carb cravings. I also noticed feeling much clearer and mentally productive in the afternoon. I also felt a feeling of ‘power.’ This is a hard one to quantify, but being able to quiet the hunger with routine made me feel strong, capable and less reliant on constant feeding. If you struggle or have struggled with disordered eating, please note this feeling can be a trigger. Tread carefully. I’ve also noticed an overall feeling like I’ve decreased my systemic inflammation. It’s been awhile since I’ve felt like my body was ready for some intense training. Little aches and nagging pains had accumulated. Now, I’m ready to ramp up competition training. I can’t believe this is a coincidence. 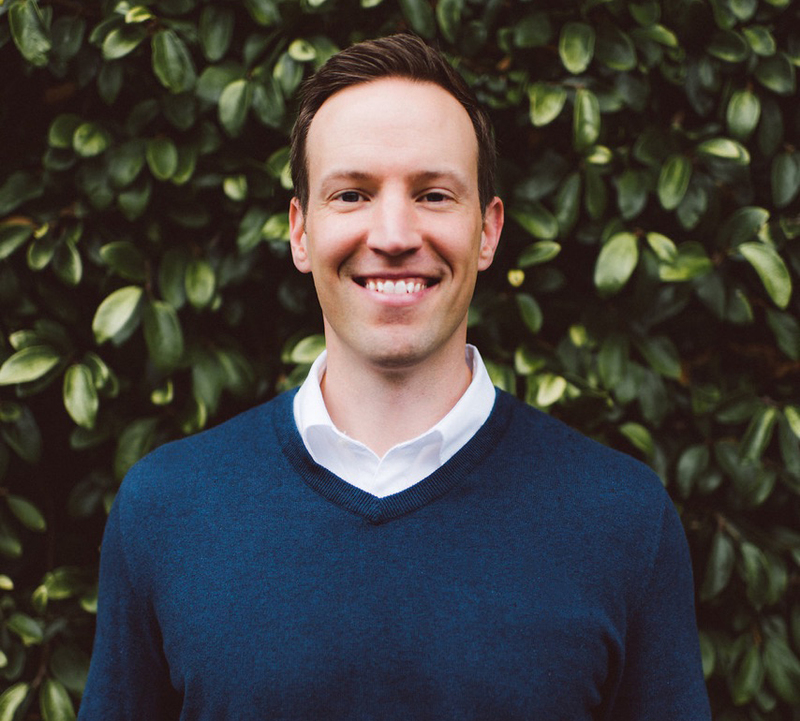 If you’re a woman and thinking about IF, please read this excellent article by friend and former podcast guest, Dr. Will Cole. The hormonal effects can be tricky to manage. Other than feeling a lot of brain fog the first few mornings, I can’t say I felt any downsides. My brain clarity corrected after about 5 days. My energy stayed great even with some morning strength and Crossfit classes (be aware, you may need to plan workouts for later in the day initially). My mood was normal. I got pretty hungry between 9:30-10:30am, but that would fade by the time noon rolled around. I’m entering a phase of training where I’ll be adding load, volume and intensity to ramp up for the Crossfit Open in February. So for now, my IF experiment will be limited to Tuesday and Thursdays, when my work and training schedule most accommodates the plan. When I do fast again, I would like to try to work up to a 24 and 3 day extended fast. But that’s probably going to be somewhere in April or May. I’m also planning on doing a slow removal of coffee prior to that. I’ve done this in the past, and while I love coffee, I think it’s important to periodically change things up and break the caffeine addiction. All in all, I really enjoyed trying something new. Have you ever fasted?